Here is another guest appearance on the blog from Oklahoma State grad Alex. It is also our first venture into the icy world of hockey. 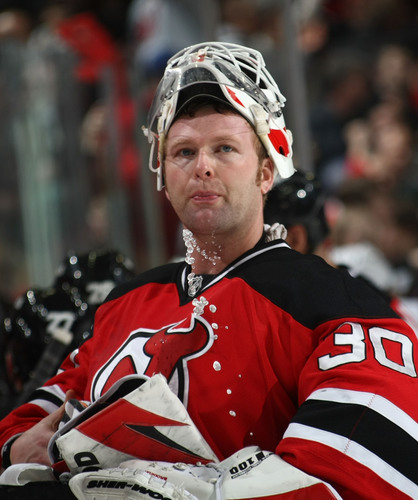 The Winnipeg Jets acted a bit like Martin Brodeur here by bucking tradition with their new uniform scheme. The most interesting people you meet at a party are usually the ones who look forward, take risks, and seek new opportunities. It seems as if the desire to remain stagnant, or to simply ape the latest trends, is almost unnatural to these people. Such is a quality that is valued because it equates to spontaneity and intrigue. Perhaps the most appealing attribute is ability surprise people, to act in a way that is unexpected and to forge one’s own path. But then there are times when it is important to embrace tradition. After all, any new idea, any new trend, or any fresh perspective is in some way rooted in tradition. And then there are times when tradition ought, nay I say must, be embraced. Such is the case with the artists formerly known as the Atlanta Thrashers now know as the (new) Winnipeg Jets, and their new and unimaginative logo. Before we delve into the Jets new logo, let us delve into a short history lesson. Winnipeg doesn’t have much going for it. It’s situated in the middle of Manitoba, it snows more often than it does not, and according to Environment Canada, is the coldest place in the world with a population over 600,000. It’s a Canadian city whose football team, the Blue Bombers, with their 10 CFL championships, have had far more success than any other of the city’s professional franchises. The Jets were born in 1972 in the now-defunct WHA, before they were absorbed into the NHL in 1979. From 1972-1996, they sported this campy yet classic logo. In 1996, citing serious financial issues, the team, for reason, moved to Phoenix, Arizona, a seemingly perfect place for a sport played on ice. They became the Phoenix Coyotes, and sported this space coyote logo. I don’t think space coyote’s exist (unless you’re Homer Simpson), and if they did, they probably wouldn’t play hockey. 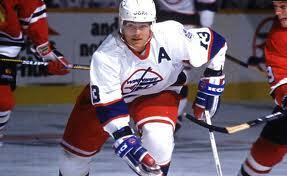 The old Winnipeg Jets went with a distinctly 80s/90s look, but the tradition has not been kept up this season. So, for 15 years, Winnipeg was left without a team, until the NHL realized (for the second time) that hockey does not belong in Atlanta and allowed a group based in Winnipeg to buy the Thrashers and move them back to Winnipeg. After a 15 year hiatus from hockey, one would think that the city would want to again embrace their tradition, and reintroduce that logo with the hockey stick serving as the “J” in Jets and the “I” in Winnipeg. But instead, the team went with a new logo. According to a press release put out by the organization, they wanted to distance themselves from the old Jets with a new logo. Fair enough. But, according to the folks at thepuckdoctors.com, the logo was based off the logo the Royal Canadian Air Force used from 1946-1965. So, in other words, in order to create a new identity, the new Winnipeg Jets had to plagiarize their logo? And why the insistence of tearing down the past? 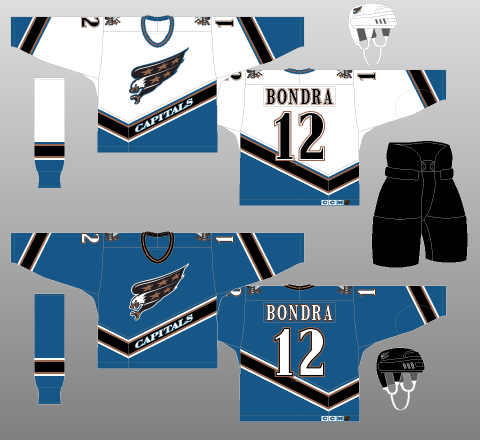 The Capitals have had great success since going from this back to this. The New York Giants had an extended flirtation with this logo before returning to their roots and what is arguably the best uniform in the NFL. There are times when change is a good thing, and the past should stay in the past. But sometimes, it’s good to let history repeat itself.